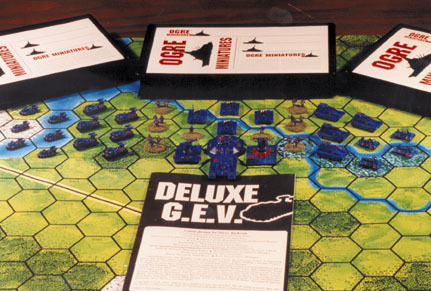 Deluxe G.E.V. 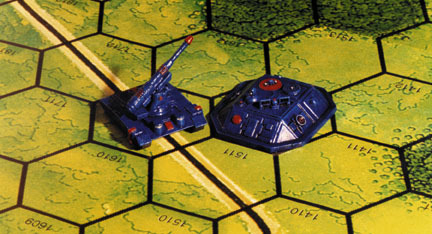 earned The Wargamer Award for Excellence for 2001. 46 miniatures in 3 video boxes, map, and rulebook with a slip cover. 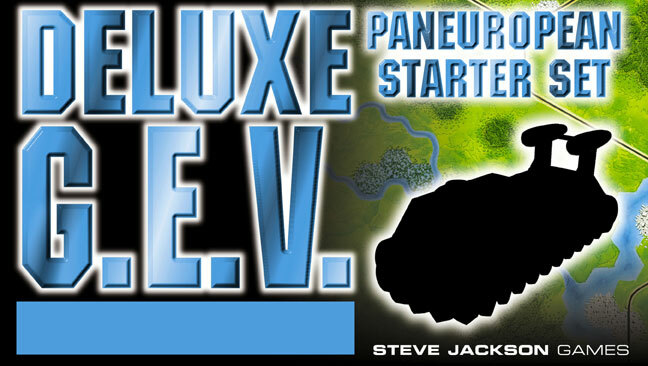 A follow-up to Deluxe Ogre – another big, beautiful set of miniatures with a big, beautiful map. This time you get three plastic boxes containing 46(!!) miniatures that will form the core of your Paneuropean army . . . plus a giant full-color 38" × 32" G.E.V. map, rules, and new scenarios. 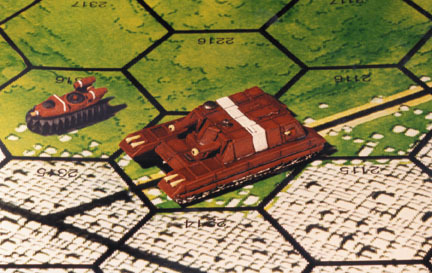 This set includes hard-to-find favorites like the Paneuropean GEVs (everybody always wants more GEVs) and Superheavy Tank, as well as the brand-new Paneuropean Light GEV.